Our Car Service Phoenixs can provide you with the means to respond quickly and efficiently. Our business runs off of principals that have kept up in business since the 1980’s. Standards like being late isn’t an option, providing immaculate vehicles within record time, and being accommodating our client’s needs. You can be sure when you ride with us, we will treat you like the VIP you are. Our late model vehicles are all in excellent shape so you never need to be concerned with keeping a stunning image. Our vehicles are also are equipped with modern amenities to make your life on-the-road easier. We offer service for short notice and last minute plans 24 hours a day for no-wait airport pickups, business meeting transportation and more. When you try to reach us be it phone, email, or online reservation, we respond quickly to questions, changes of plans, and any need you may have. You can be sure that you are our number one priority. For Car Service Phoenix can rely on every time for professionalism, so you can count on us. We make Transportation to Phoenix Airport quick and easy with immediate billing. Our private aviation transportation is one-of-a-kind as we adapt to your scheduling needs, can wait or arrive early if requested, and can deliver you and your group to wherever you need on the drop of a hat. 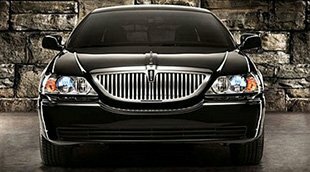 If you want Car Service Phoenix that can remember your preferences, provide you with privacy, a clean and relaxed environment, and can be obliging to special requests—we can be your go-to transportation. Devoted to excellent customer service, convenience, and professionalism. Open 24.7. No wait town cars. Luxury executive mini buses for strategic group travel. Flexibility and accommodating service. Where you are, whenever you need us.